How to install Xposed Framework Module? Ability to customize your Android device has always been the plus point of the Operating system over the others. With Android you can change your phone in almost anything. For this power all you need is knowledge on how to root and flash Custom ROMS and other tweaks. To take customization to another now we have Xposed Framework. This framework allows you to modify your ROM according to your needs without changing anything in apk or even flashing. By modifying apk we means now you no need to recompile it or change the other things such as signs etc. All the changes are made in real time i.e. you need not to wait any longer for a ROM to download. 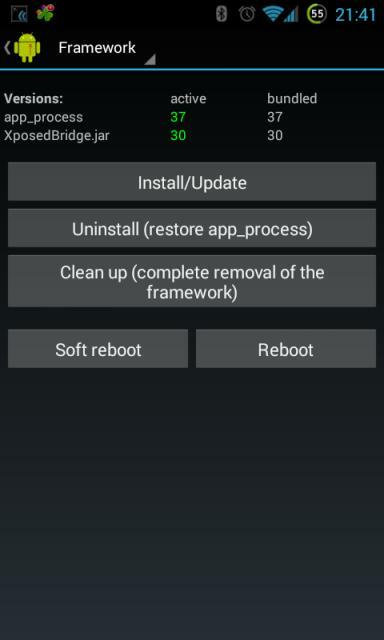 You need to root your Android device for this Xposed Framework Modules to work. It based on AOSP sources. It works on any Android device running Android 4.0 Ice Cream Sandwich or higher. keep in mind that Android device that you will be using must a ARM or x86 Processor. Support for devices running on Gingerbread is in work and it may come out soon. Install the Framework which you downloaded earlier and launch it. Head over to Framework, then click on Install button. After the Reboot your device. And it’s done. How to install Framework Module? Download the module which you want to install. Click on Xposed installer then go to Module section. Enable it and reboot your device. NOTE: IF YOU HAPPEN TO GET INTO BOOT LOOP THEN FLASH THE XPOSED DISABLER RECOVERY WHICH YOU DOWNLOADED EARLIER. COPY THIS RECOVERY ALONG WITH XPOSED INSTALLER TO YOUR SD CARD IN ADVANCE. As you have now installed Xposed Framework Module now you can do various types of things as explained earlier. If you happen to get into any kind of trouble make sure you ask us in comments below.